Vancouver Mural Festival is organized by Create Vancouver Society, a Registered Non-Profit dedicated to artistic and cultural development in the Lower Mainland. Through the creation of permanent large-scale public murals, they provide a platform for Vancouver's diverse art scene to contribute to the city’s cultural legacy for years to come. 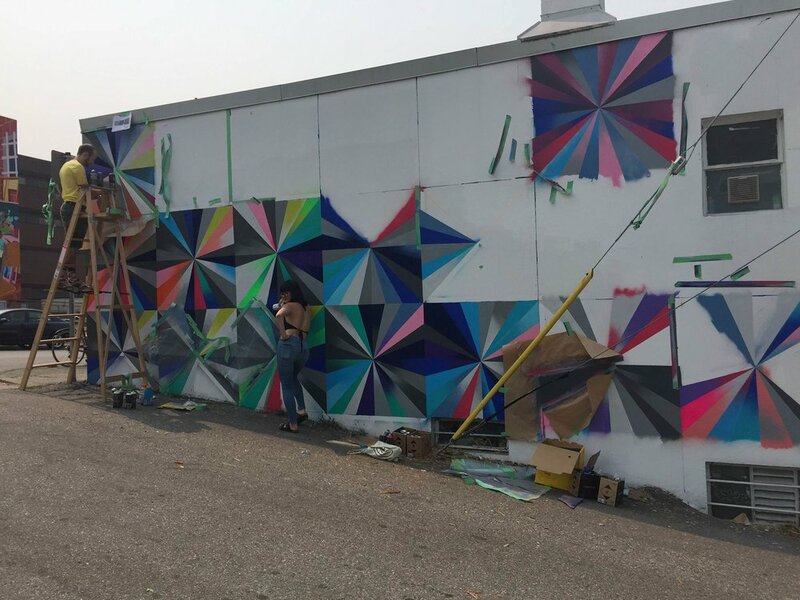 I volunteered with the mural fest and helped an artist from Emily Carr College paint her super cool geometric mural. We used tape, spray paint, and stencils. It consisted of small triangles forming small squares, forming a giant finished rectangle on a 20 foot wall. It was great to be a part of it and I hope to volunteer again creating my own small mural.